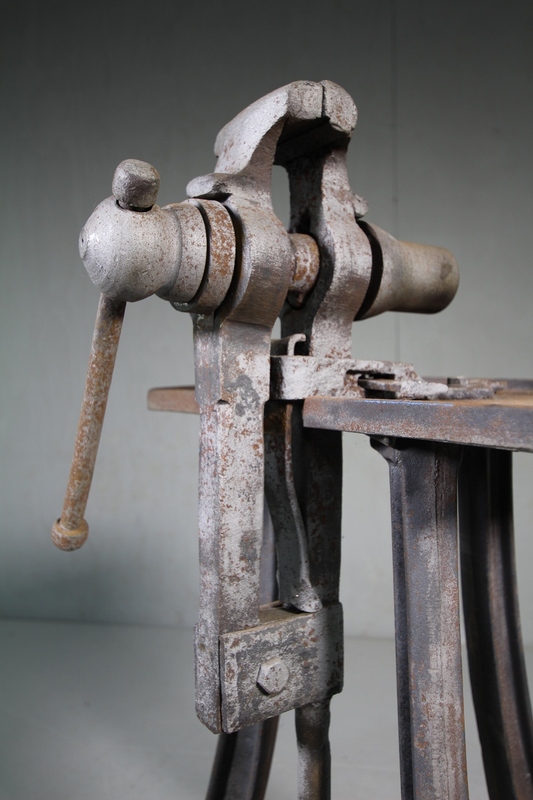 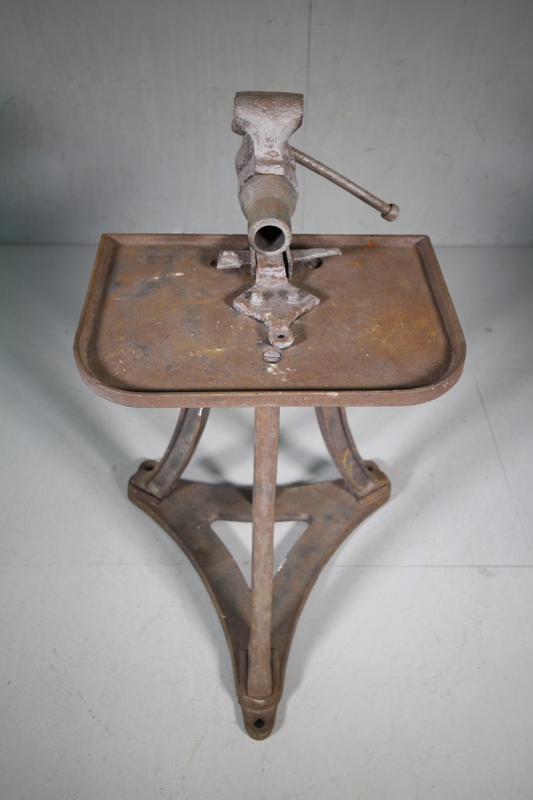 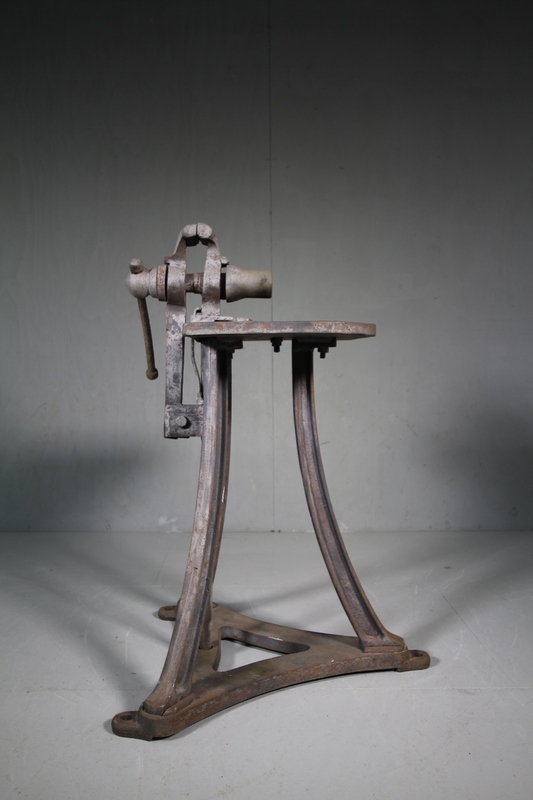 A very clean and complete, English antique cast iron, three legged leg vice base, that features a bulit in tray top table with a fully working vice. 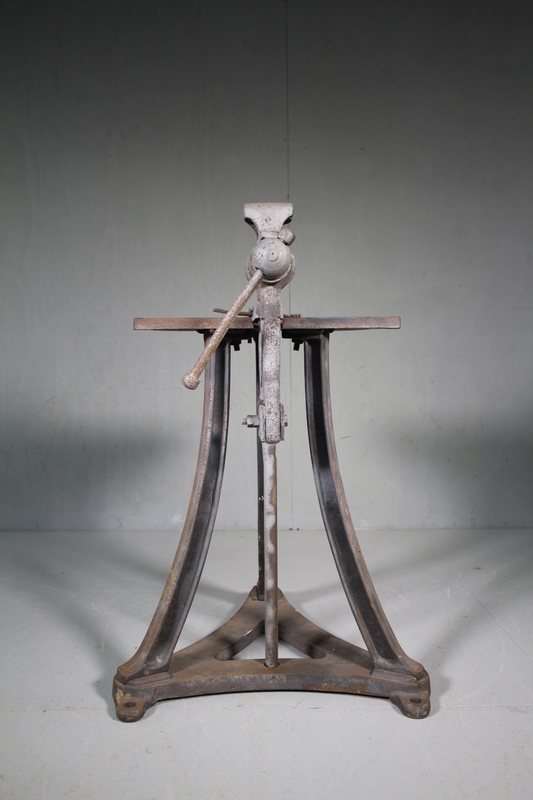 All clean , recently sand blasted to a great finish. 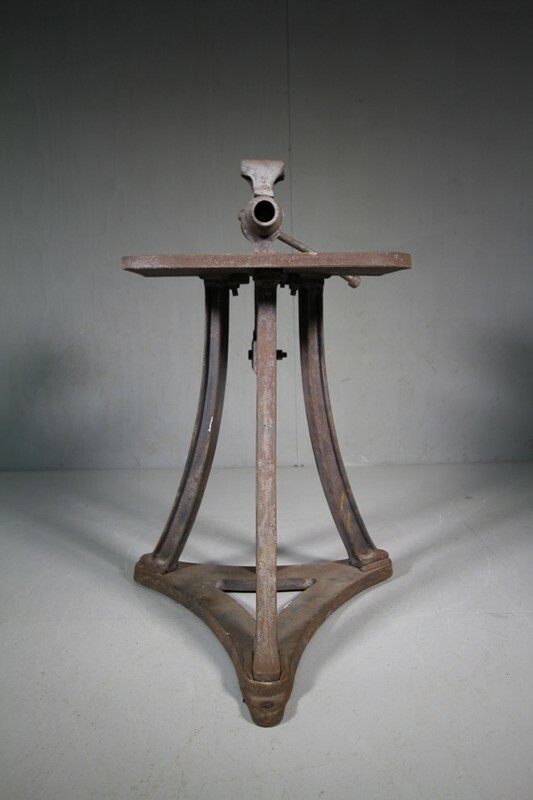 Would make an interesting industrial antique side table, or to use once again.